The combat mechanism is something new, or at least for me, I like it. As several times already mentioned the player should be forced to leave the middle room, for example when staying in a room for too long a more dangerous creature appears, or if you still have motivation you could implement these powerups you spoke of. Great game anyways, keep up the great work! Thank you! I will work on all the points you mentioned. The theme of the game is cool, and the combat and repair mechanics are refreshingly different :) The art is solid and fits the theme. 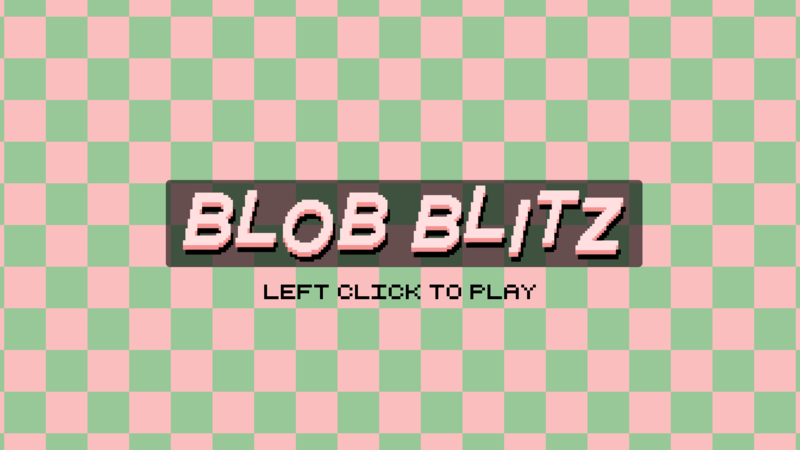 I think the game could gain a lot from a bit more variety, either by adding different enemies, or more options to combat the blobs. Thank you for the feedback! 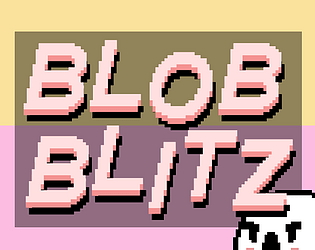 Originally, I planned for different blob types and Mario Kart style power-ups, but due to time constraints, they couldn't make it into the game. The sword's playing idea is great, that would be even better if we could push enemies around instead of just stopping them. Thanks for playing! I will think of ideas to give the sword more functions. The rooms mostly seem big and empty (even Kelly's). 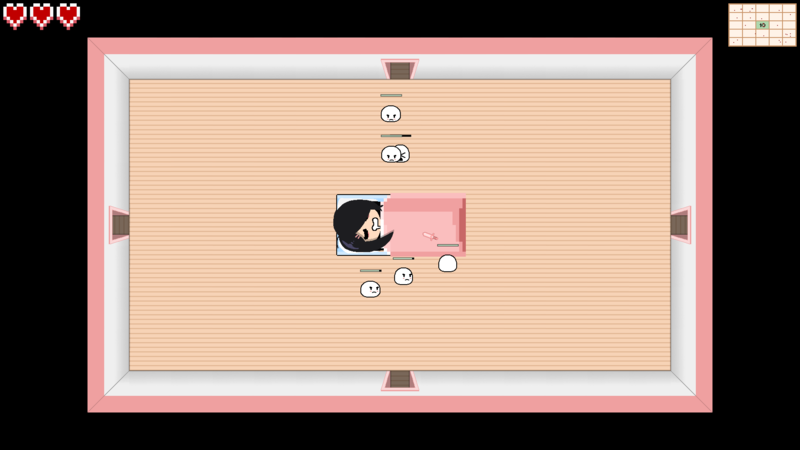 The blobs seem to come evenly from all directions, so it seems unwise to leave kelly's room, or at least to go far away from it, after the first blobs reach kelly's room. Getting attacked by the blobs in every room except kelly's further reinforces this. Also, every thing looks rather featureless: all the rooms look the same (kelly's room is only distinguished by having kelly in it) and the blobs look all alike. this is very boring. Reducing the game to only kelly's room would be the best thing to do in my opinion. The extra rooms hardly add any value, and taking them out would pull all the details that are there closer together and highlight them. Will definitely do some stuff to add variance. Thanks!